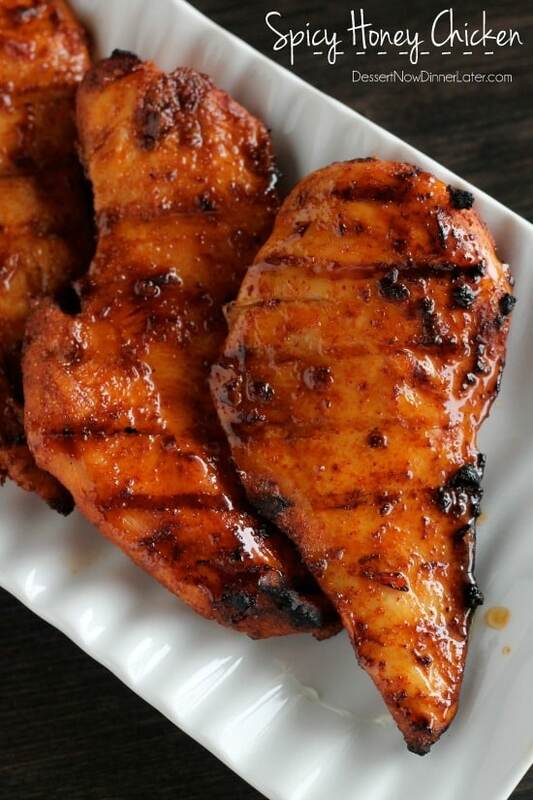 Spicy Honey Chicken - Dessert Now, Dinner Later! Grilling season has started up and we totally grill at least once a week until it gets cold again. So, we will most likely be trying new recipes and sharing them with you. This one was the BOMB! 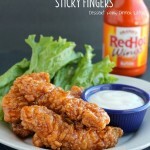 It’s got heat, so if you have little ones, maybe put some ranch to dip it in on the side of your child’s plate. The honey does help cool it down a little bit, but it’s a great “grown up” dinner idea. 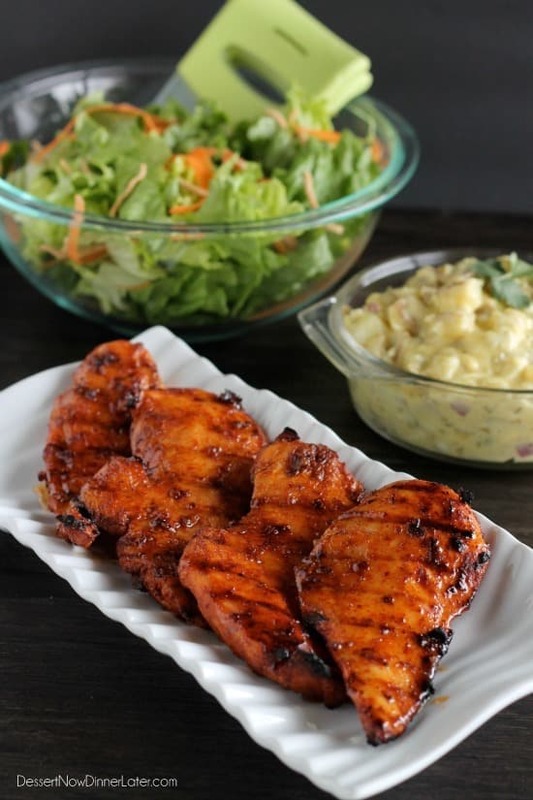 This Spicy Honey Chicken is marinaded in a southwest chipotle paste and then basted with a honey-vinegar mixture during the grilling process, for the perfect, crispy-sweet glaze! 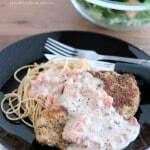 The original recipe uses chicken thighs, which are great to seal the moistness in, but if you know how to cook a chicken breast right, it works great for that as well! 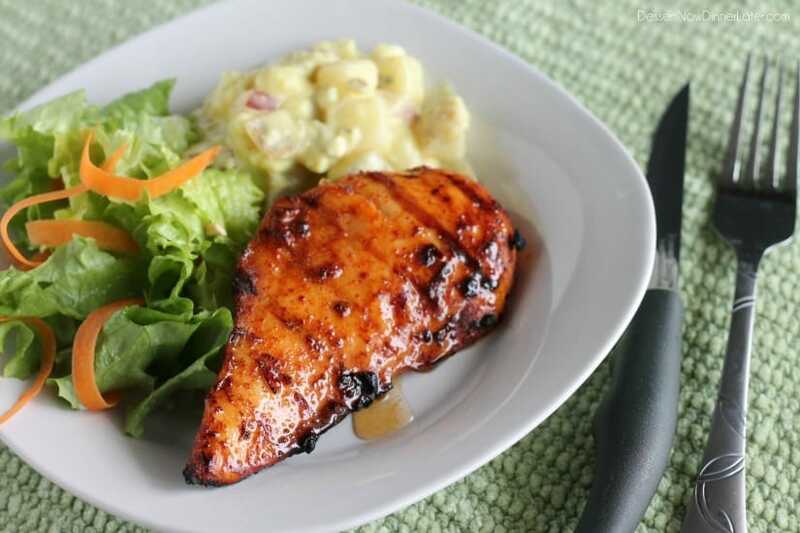 We loved these spicy-sweet caramelized chicken breasts and I hope you do too! Combine the oil, garlic powder, chili powder, onion powder, coriander, salt, cumin, and chipotle puree in a gallon size zip-top bag. Squish until mixed well. Add the chicken, zip bag shut, and squish the bag around until all the chicken pieces are covered with the marinade. Refrigerate a minimum of 20 to 30 minutes. Grill each chicken breast for 4 to 5 minutes per side on medium heat, or until the thickest part of the chicken breast reaches 165 degrees Fahrenheit. While the chicken is grilling, warm the honey in the microwave so it's runny (15 seconds) and add the cider vinegar. Reserve 2 Tablespoons to drizzle on just before eating. Baste each side of the chicken breast right at the end of grilling. Enjoy! Sounds fabulous! Let’s pick a date and place and do it! MMMMM! This looks so good! Seems like comfort food to me! Thanks for sharing! We grill all the time too now! Love it! Love it! Love it!!! This looks delicious! What are you grillin?! I’d love to try new recipes! This looks awesome! 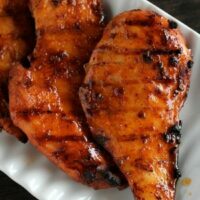 I love grilled chicken. I can just imagine how good all these flavors would taste! It’s so good! My daughter ate it just fine, my boy is a little pickier when it comes to spicy things, so he needed to dip it in ranch, but it’s so delicious. The caramelization is crisp and sweet! YUM! 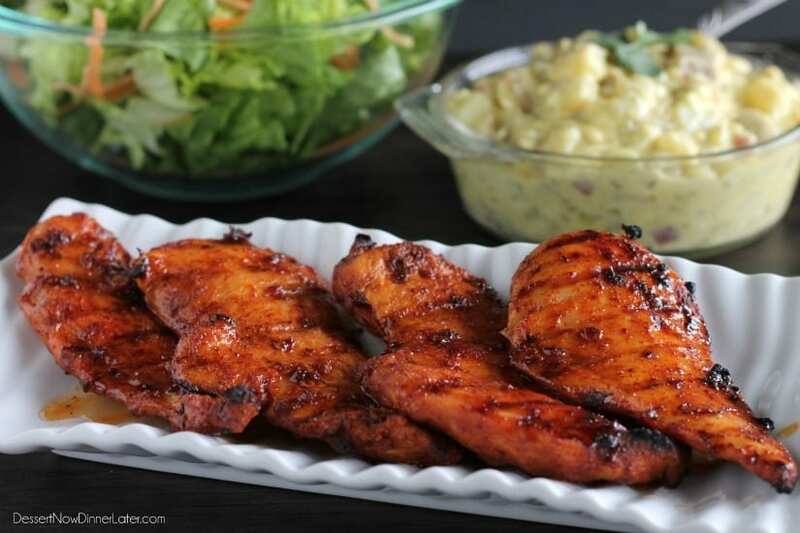 I want to grill every day in the summer and especially grilled chicken is my favorite! Going to have to try this one soon! Do it! 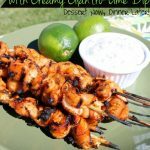 And try my Chipotle Chicken Skewers too! That recipe is similar to this, but has cilantro and stuff! I love spicy-sweet chicken! This looks so amazing! 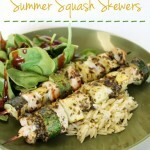 I am totally pinning it to try for dinner soon! I will definitely be pinning this it and making it this summer. Seriously, it looks so delicious. This officially just made me hungry!! Pinned. That’s the plan! 😉 Thanks for pinning!